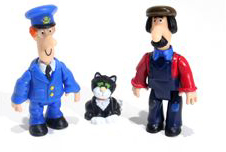 Postman Pat SDS three figure pack collectable figures. 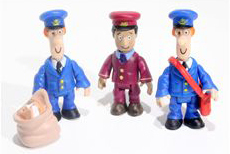 These figure packs are branded as the ‘Postman Pat SDS Tube of Collectables’ by Character Options. Year of first release 2010. 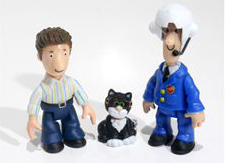 These figures are also found packed with the vehicles or in the two figure packs.